An ignition interlock device is a machine that attaches to the dashboard of a motor vehicle. The device is designed to measure alcohol on the breath of a driver. When the device is properly installed, the car will not start if an alcohol level of .02% or greater is detected. Some citizens convicted of DWI in New Hampshire are required to have an alcohol ignition interlock device installed in their vehicles for a certain period of time. If you have been charged with DWI in NH and are facing a court order to install an ignition interlock device, Tenn And Tenn, P.A. in Manchester NH can help you through the process and devise a defense strategy for your criminal charge. The Ignition Interlock Device connects to a vehicle’s starter system and will not allow the automobile to start if a pre-set level of alcohol is detected on the driver’s breath. The IID is designed to measure the BAC or Blood Alcohol Concentration of the vehicle’s driver before and during the operation of the vehicle. If the blood alcohol concentration registered by the driver is higher than the preprogrammed level, the vehicle will not start. Typically, the preprogrammed level is set at .02% or less. Random additional breath samples are periodically required while the car is in motion. Individuals convicted of DWI in New Hampshire are prohibited from driving any vehicle not equipped with the IID. The IID contains a data-logger which retains records of "failures" or "passes" which data is then communicated to the proper authorities. An ignition interlock device isn’t installed on the vehicles of everyone convicted of DWI in New Hampshire. There are certain circumstances under which the installation can be mandatory. New Hampshire’s Ignition Interlock Program requires any person whose license has been revoked or suspended for an Aggravated DWI, or convicted of a 2nd or subsequent DWI, to install an Ignition Interlock Device (IID) in any vehicle registered or used by that person, for twelve (12) to twenty-four (24) months. Juveniles convicted of DWI and those who are caught driving while their license is under suspension due to a DWI will typically be ordered to install the device as well. It is the financial responsibility of the convicted driver to install an interlock and also that person’s responsibility to pay the monthly service fee. Once installed, the driver needs to submit a certificate proving the devices was installed properly. An alcohol ignition interlock device generally must be installed on every vehicle that the convicted person uses regularly. The time period a person has to use the device varies according to the circumstances and age of the driver. It can be ordered for 6 months to 2 years. A juvenile convicted of DWI may have to use the device for 12 months or until they reach 21 years old. Tampering with an ignition interlock device is against the law and can result in a variety of consequences. It is also against the law to ask a person who is not under the influence of alcohol to provide a breath sample in order to start the vehicle. The criminal punishment for these offenses can range from a $500 fine to 2 more additional years of having to use the device. The order to use an ignition interlock device or the accusation that one has been tampered with is very serious in the eyes of the law in New Hampshire. If you have to navigate a situation involving your use of an interlock device and/or its installation, it is recommended that you obtain trusted and knowledgeable legal guidance. The NH Criminal attorneys at Tenn And Tenn, P.A., can provide up to date information about the laws surrounding the use of ignition interlock devices and also protect your rights if you have been accused of breaking those laws. The documentation and legal process of installing one and submitting reports about the device can be overwhelming and confusing . 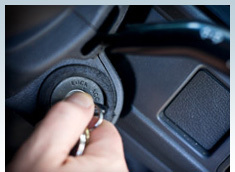 Let us review your case and your order to install an ignition interlock device and see if we can help you. Our firm may be able to ensure a lesser sentence, less time with the device, or get your case dismissed altogether. Before you settle for a sentence or court order, contact our NH DWI firm at 1-888-511-1010 for a free telephone consultation and let us address the issue and see how we can help with any ignition interlock situation. We serve the following localities: Cheshire County including Keene; Grafton County including North Haverhill and Plymouth; Hillsborough County including Bedford, Manchester, and Nashua; Merrimack County including Concord; Rockingham County including Derry, Exeter, Londonderry, Portsmouth, Salem, Sandown, and Windham; Strafford County including Dover, Durham, and Rochester.